Charles Stansfeld Jones (1886-1950) was an early aspirant to A∴A∴ (the 20th to be admitted as a Probationer, in December 1909) who “claimed” the grade of Magister Templi as a Neophyte. He also became an O.T.O. initiate, serving as the principal organizer for that order in British Columbia. He worked under a variety of mottos and mantonyms, including V.I.O. (Unus in Omnibus, “One in All,” as an A∴A∴ Probationer), O.I.V.V.I.O., V.I.O.O.I.V., Parzival (as an Adeptus Minor and O.T.O. Ninth Degree), and Tantalus Leucocephalus (as Tenth Degree O.T.O. ), but he is best known under his Neophyte motto Achad (Hebr. “unity”), which he used as a byline in his various published writings. 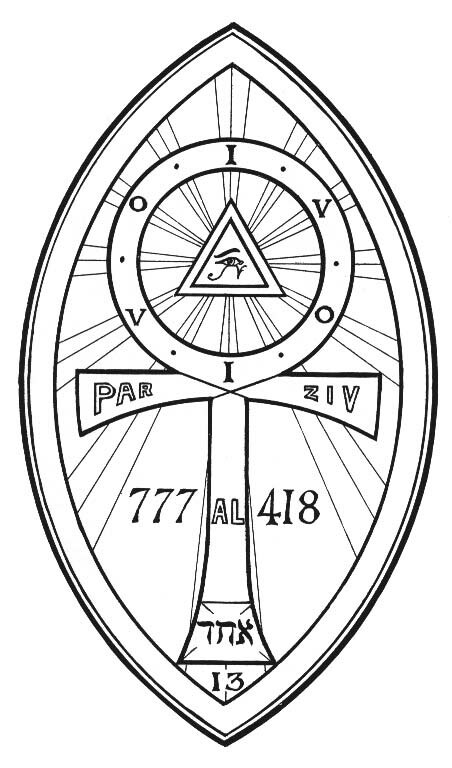 This material presented here is updated from Norton’s Imperium also in The Hermetic Library. Previously, this material was several levels deep on the site, but this Frater Achad material deserves to be a featured part of the collection. A basic primer on the Tree of Life from a Thelemic viewpoint. The appendix contains the magickal records of Achad's discovery of his “Restored” Tree of Life. A detailed examination of Frater Achad's “Restored” Tree of Life, its justification in past cabalistic writings, and its relation to Thelemic symbolism. Contains many ideas later adopted (without credit) by other writers. Achad's magnum opus on cabalistic geometry. The good Frater's classic monograph on this traditional method of scrying and its transformation into higher forms of spiritual vision. Lots of good advice for anyone learning or using any method of scrying. An analysis of Wagner's Parzival as it relates to the Path of Initiation and Thelema. Prose “verses” to NUIT, in the style of Crowley's Book of Lies. Not great literature, but with some useful content. Concerning the symbolism of the Rose and Cross. 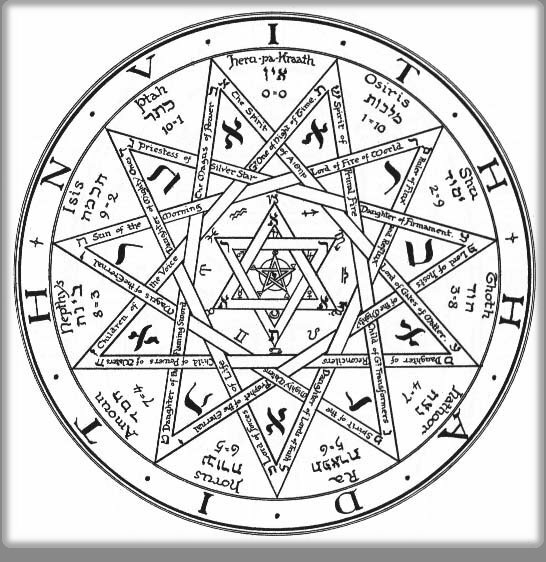 An invocation of Binah in the Golden Dawn style, thought to be written by Frater Achad. Comments on Chapter 1, vv. 45-48. Achad's Test Questions for the three “grades” of Liber AL. Through the efforts of Frater 117 of Yggdrasil Camp, O.T.O. and Bishop T. Allen Greenfield, a number of new articles by Frater Achad were released to the public. These articles were first published (along with commentary and annotations by Bishop Greenfield) in Mjölnir, a quarterly journal from Yggdrasil Camp. An introduction to this series of Achad works by T. Allen Greenfield. From Mjölnir vol. 1, no. 1. An essay contrasting religious belief with direct spiritual experience. From Mjölnir vol. 1, no. 2. Concerning subjective relativism and freedom of awareness. From Mjölnir vol. 1, no. 3. Concerning the enjoyment of life and living. From Mjölnir vol. 1, no. 4. Concerning Right Knowledge. From Mjölnir vol.2 no. 4. Concerning Crowley's method of discovering “past lives”. From Mjölnir vol. 2 no. 3. Concerning the abandonment of all finite characteristics. From Mjölnir v2 no. 1.